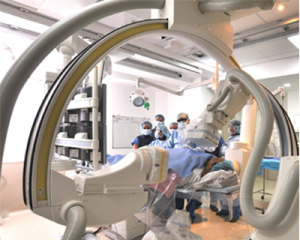 The Cardiovascular Center (CVC) is an integrated facility that provides the appropriate services to address patient needs in cardiovascular care. With the latest technologies and world-class expertise, CVC offers specialized diagnostic and therapeutic services for the management of cardiovascular diseases. All cardiac procedures are supervised by highly competent medical staff to ensure safe and optimal patient care with accurate results.